Our first Christmas together, my husband, Marc, asked if the boys and I would like to take a drive and look at Christmas lights. My sons were excited as we traveled through Sherwood Park, a neighborhood known for its hospitable Holiday spirit. Most houses were lit up with decorations. Sidewalks were lined with luminaries, music played outside, and the residents waved and called, “Merry Christmas” to the long line of cars weaving through their streets to take it all in. Warmth still fills my heart as I think about his words. A once confirmed bachelor, Marc never gave much thought to where he would live, but things had changed. He had two sons who needed a good school, and where we lived then was not in the best of districts. We were running out of ploys to keep them in the school nearest to Sherwood Park. A few months and a limited budget later, Marc and I found ourselves looking at house after house to purchase, but we couldn’t find the one we wanted. Finally, the real estate agent pulled up in front of a house on Ayshire Drive—in Sherwood Park. From the outside, the house was beautiful, but we were a little doubtful that we could afford it. When our oldest son jumped out of the car, he noticed friends from school playing in the streets around us. His excitement grew, and I was afraid we would have to disappoint him. Then I went through the house. It was open and spacious. The bathrooms were larger than any I’d seen in a house that size. The boys could share a room or each have their own, although, I knew what that decision would be. I fell in love with the place. The house was a little pricier than we’d expected, but the real estate agent had some good news for us. The mortgage had a rare, “assumable without qualifying” tag on it, which meant as long as we stayed within our personal budget, we didn’t have to qualify for a larger loan. While the boys chattered about the new house in the neighborhood where their friends lived, Marc, in his quiet unassuming way, studied our options. 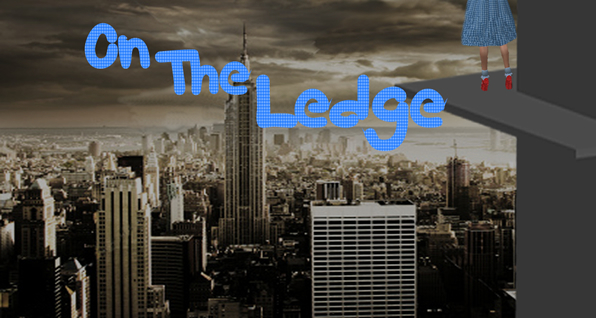 He was getting ready to head out of town, and we hadn’t made a decision—or so I thought. The day he had to leave, I was late getting home and picking up the boys from daycare. We rushed to our apartment, and I was disappointed. Marc’s car was gone. He’d already left for the airport. Deflated, I gathered our belongings and ushered the kids toward the apartment where I found a note taped to the door. “Your new home is located on Ayshire Drive. I love you, Marc.” He’d signed the contract to purchase the house as a surprise for us. I cried as I read this love note to me. You see, it wasn’t about the house. Any home would have done for me. In those few little words, my husband showed not only the depth of his love for his wife, he also showed me how much he loved the sons I brought into the marriage. We lived on Ayshire Drive for seventeen years, making precious family memories there. And each Christmas our family would decorate our home to the hilt, place the luminaries along the drive, and we’d stand outside waving to all the visitors driving through our neighborhood, and I still never cease counting the many blessings that came when God brought Marc Lamb into my life. 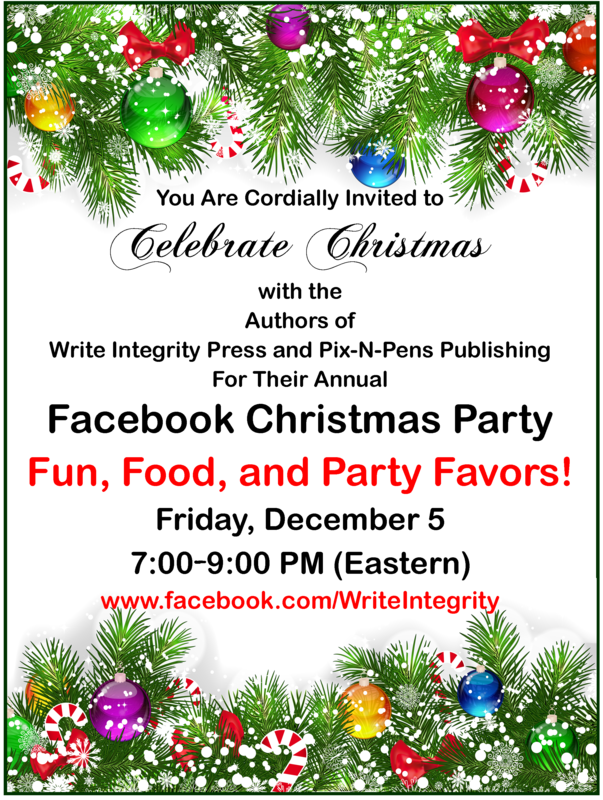 The authors of Write Integrity Press and Pix-N-Pens Publishing, invite you to join us tonight, December 7, 2014, between 7:00 and 9:00 p.m. for our Facebook Party. 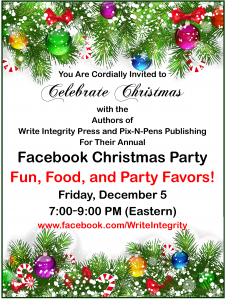 We’ll have food (virtual, of course), fun, and party favors (not virtual–you have to join us to see). Stop in. We’d love to say hello to our old friends and get to know some new ones. 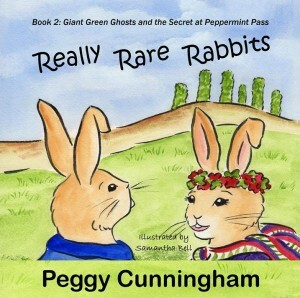 Also, today, is the last day you can pick up a free copy of the wonderful children’s book by Peggy Cunningham, Really Rare Rabbits: Giant Green Ghosts and the Secret at Peppermint Pass. There on the mountaintop stood at least ten giant green ghosts. They were real. Fi Fi and her brother heard about Jesus when they ventured down their mountain in Bolivia and peered into the windows of the missionaries’ house. Now, she and Chi Chi are starting a long journey to meet Grandfather who went to visit his Inca relatives of long ago. He’s waiting for them at the mysterious Winding Wall. But first, they must journey through secretive Peppermint Pass. Fi Fi realizes why it is so important to memorize Scripture––so it stays in your heart always and comes back to you when you need it. 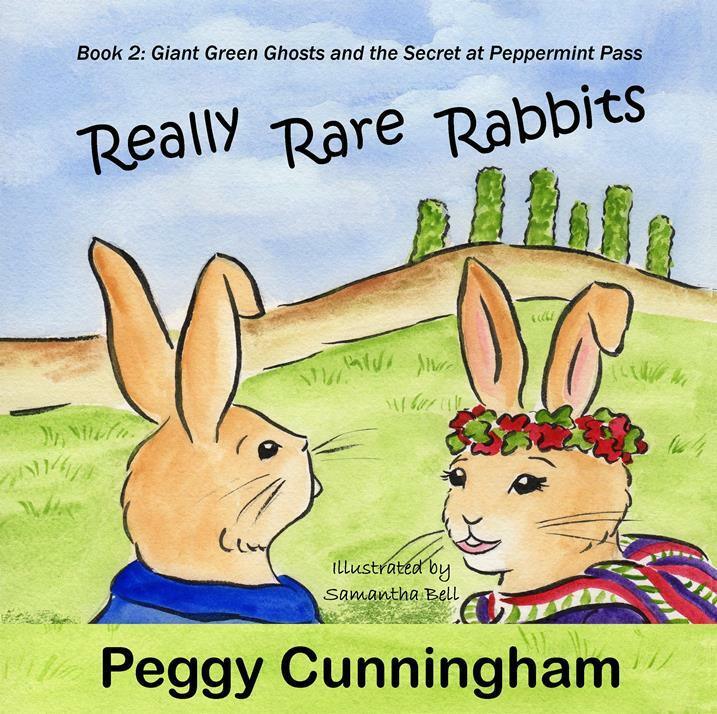 Even so, she has no idea how much she and her brother will need to call on God for help to rescue them from the dangers that await on their journey through Peppermint Pass. 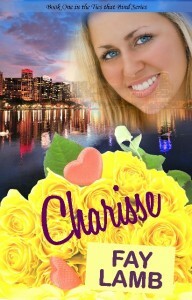 Charisse Wellman’s husband has been gone a year, and she’s about to lose the only home her son, V.J., has ever known. She’s quit law school but the money just isn’t there. Her only option is to work as a law clerk for her ex-friend, Gideon Tabor. The only problem: Gideon is the judge who let her husband’s killer go free, and Gideon doesn’t know the connection. Gideon Tabor can’t believe that the woman interviewing for the job is the girl he loved in high school. Charisse is hesitant about accepting his job offer, and when she does, Gideon makes every attempt to apologize for his relationship-ending blunder in high school. Charisse accepts his apology, but she keeps him at a distance. When Gideon learns that Charisse’s anger actually stems from his release of the man who ran down her husband, he tries to explain, but Charisse doesn’t want Gideon’s excuses or the love he has to offer. She wants her husband’s killer to pay. 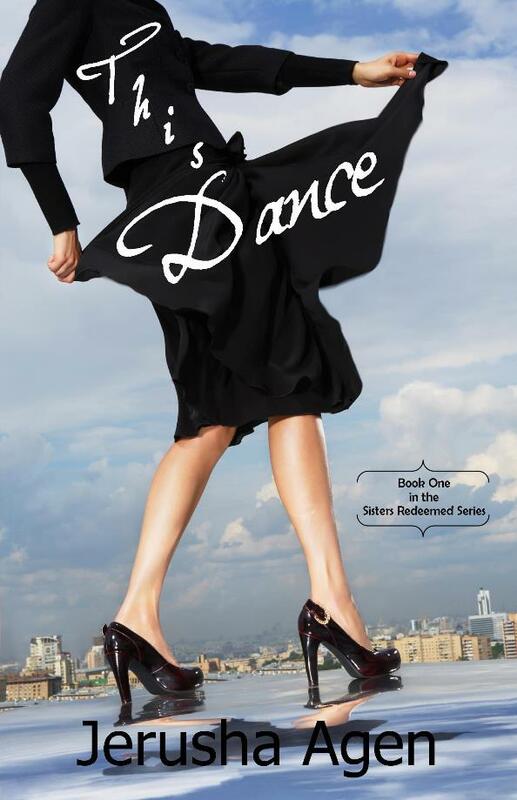 Today is the first day of another free offer: This Dance, the first novel in Jerusha Agen’s fantastic Sister Redeemed series. A tragedy three years ago destroyed Nye’s rise to the top of the dancing world as an upcoming tango star, and in the process destroyed her reason for living, too. She survived the pain and built a new life resembling nothing like the one she left behind, determined never to hurt again. Nye’s emotional walls hold up perfectly until she meets a handsome lawyer and an elderly landowner. They seem harmless, but one awakens feelings she doesn’t want and the other makes her face the God she can’t forgive. Will these two men help Nye dance again? 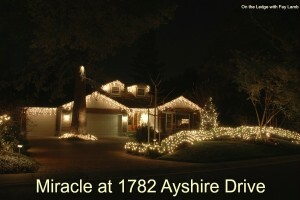 Awww, I love that story about the Ayshire Drive house (HOME).